The following is a guest post by Tobias Hagemeister. If you’d like to guest post on Go Backpacking, please read our submission guidelines. Social media has changed the world and in particular, it has changed the way of travelling around the world. For a backpacker it is hard to imagine travelling five years ago, without the use of the web that we have today. Speaking to different people from all the over world, obviously the Internet and the usage of Social Media is as important in the lesser developed countries as it is in the developed countries we live in. The world has become a global social network. Social Media has been defined as the social interaction, using highly accessible and scalable communication techniques, which allows the creation and exchange of user-generated content. Thanks to Social Media services like Facebook, Twitter, Foursquare, Google Buzz or blogs it’s much easier to communicate and keep in regularly contact with the home base and travel buddies we met on the road, while travelling. Especially for the people at home it’s a good way to follow you travel route, as they know where you are, and as a result they will feel much more relaxed. Looking back – five years ago, while travelling around South Africa it was not common for me to use Social Media services like Facebook or Twitter, as they were still in their infancy. Communicating home by Skype and email was the only way to stay in contact via the web (and of course the normal telephone). On the other hand, the normal backpacker was travelling around without a computer or any other mobile gadgets. Furthermore, techniques like Wi-Fi were not that much developed, as we can use them nowadays. To go online, it was necessary to use a computer in an internet café, were you had to pay for. During my world trip around the southern hemisphere from June 2009 to July 2010 I recognized that the kind of travelling has undergone considerable changes. Almost everybody was travelling with notebook and other mobile services like smartphones. Today most of the hostels – while travelling around the world- offer free Internet access (included in the price of accommodation), if you have a notebook in your backpack. And so it wasn't a big surprise that recently the term of backpacker has changed to flashpacker. But there are still lots of internet cafes on the market, which are now promoting the different Social Media services to get the attention from the backpackers travelling without a notebook. Particularly Facebook, the worldwide number one social network service has become very popular for travellers. Almost every backpacker is checking his Facebook profile regularly, if there are any new status updates or if there is a private mail in the Facebook inbox. Facebook has become so popular because you can share your travel memories through chat, posting updates, uploading travel pictures/videos. 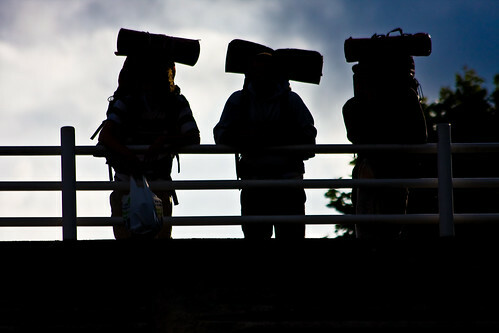 As a backpacker you can follow those people you’ve met during your travels and keep in contact with them. Beside Facebook there are much more Social Media networking sites with focus on the local regions, e.g. ‘Que Pasa’ for the South American market (available in Spanish and English), which you should consider when travelling. 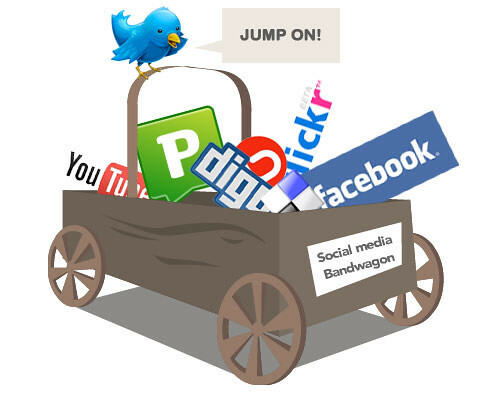 Today, all the different Social Media services has made the way of travelling much more easier; as follows as a review the strengths of Social Media. The usage of Social Media makes it easier to stay in contact with family and friends. It’s a lot easier now to show photos and videos around, comparing to the times where you had to zip them and send them via email. Today you can simple upload them on Facebook, and all your friends can see them and write comments. Especially when you are away for long period of time it gives you a more homely feeling and it can help against homesickness. You are never alone, when logging into your Social Media service, your friends are ready to chat. You can use Social Media services to plan your trip, e.g. check flight status, make a reservation for your next hostel or even book a flight. It is also great for research; as you can read other people reviews and blogs, which is a great help making your trip safer and easier to plan. Sometimes the usage of Social Media makes it harder to really immerse yourself in your travels, as you want to know what’s happening at home. It’s a lot harder to ‘really’ get away. You should avoid, spending too much time by using the web and the Social Media networks. Use the time for the important things, while travelling, enjoy the place where you are. Do only take the equipment you really need, while travelling, especially in lesser developed countries, to reduce the risk of thefts. A lot of people are now travelling easier in the 21th Century. Social Media became a sort of hype, and a way of life. For me it changed the way I remember people I met during my travels. When coming home from a long trip, it keeps the remembrance to that period alive, also the relations continue online in a different way. What do you think, how has Social Media changed your kind of travelling? When we decided that we were going to take a laptop away with us when travelling, it was a big decision to make. I constantly had a tung-o-war in my head, whether bringing the computer along was going to impede on our experience in other countries and cultures. I was also surprised that everybody travels with a laptop/netbook now. It is just the norm. Almost every place we go to has wifi. We even saw wifi available at 3850m above sea level on the way up to base camp in Nepal. Travel has changed forever, and it is sometimes for the better, but sometimes we need to just unplug for a while and remove ourselves from technology. My moments of being unplugged happen when my technology breaks! It’s definitely changed it, but only for the better in my opinion! Yes, I think it has changed the way we travel today, with all the positve and negative aspects. Social media has definitely changed the way we travel, but then again it is because we are Travel Bloggers. If we weren’t doing this as a career, I would never take my laptop. I loved the days when we traveled and didn’t have any contact with home, like Tobias said above, we could really immerse ourselves in our travels and completely get lost in the moment. I see so many people on their “round the world trips” glued to their laptops in cafes and think that they should be out having fun. We want to make a living out of this so we are on our computers a lot, but we did 10 years of unplugged travel before deciding to become bloggers. I hear you guys, and being unplugged is why I started my RTW trip without a laptop, or a cell phone of any kind. I soon found, however, that the blogging became a part of my overall experience. Ensuring a post per day was published gave me something to do aside from sightseeing or laying around a hostel. But all that was still before social media took off. Nowadays, I feel glued to my Blackberry, and I don’t think that’s especially healthy, but I’ve accepted that connectivity comes with the territory of blogging professionally. My name is Le Viet Anh, I am Vietnamese. I am now PhD student in Latrobe University in Australia. My research thesis involves in Social network in decision making process of backpackers in travelling time. When I read your post, it is quite useful and express me. So could you please give me some advices or some ideas about my topic? I struggled a lot with breaking away from my smartphone. I used to pass time in the office surfing on the net, and just reading random tweets whenever I didn’t feel like working – so basically all the time :) When I started travelling it was hard to leave behind wasting time on social media. It was a bad habit, but once I realised that it was pointless – and how I didn’t like it – I made a conscious effort to stop and enjoy the local more. So I think social media doesn’t ruin backpacking if you don’t let it. Checking on your friends every one or two days is certainly ok, and won’t ruin your travels.